The three following photographs all contain the same five people in different poses. 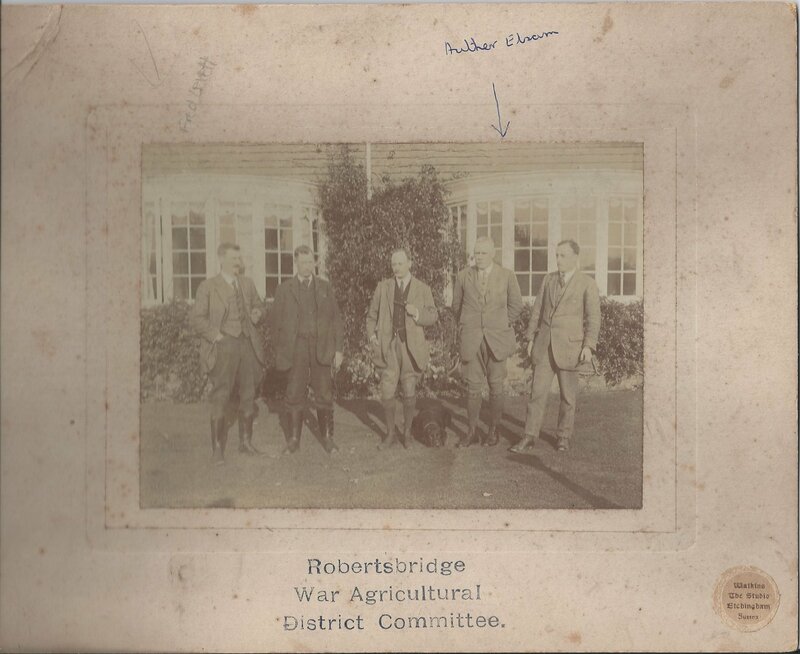 The two Bodiam residents are Arthur Elsam of New House Farm and Frederick Henry Levett of Park Farm. The photos include the mounting boards and were taken by "Watkins, The Studio, Etchingham, Sussex". Does anyone know the identity of the other three people? Arthur Elsam is the centre person on the bench wth Fred Levett on the right. 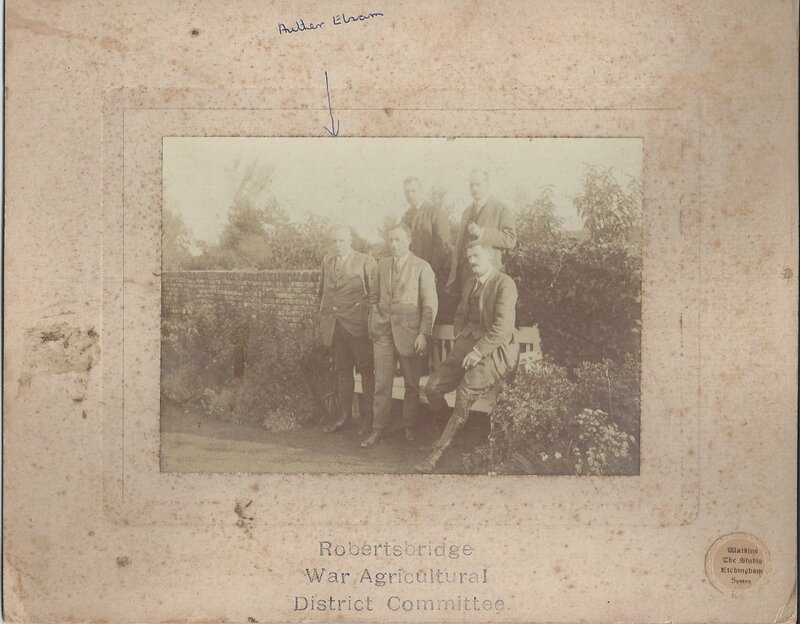 Fred Levett is far left with Arthur Elsam second from the right. 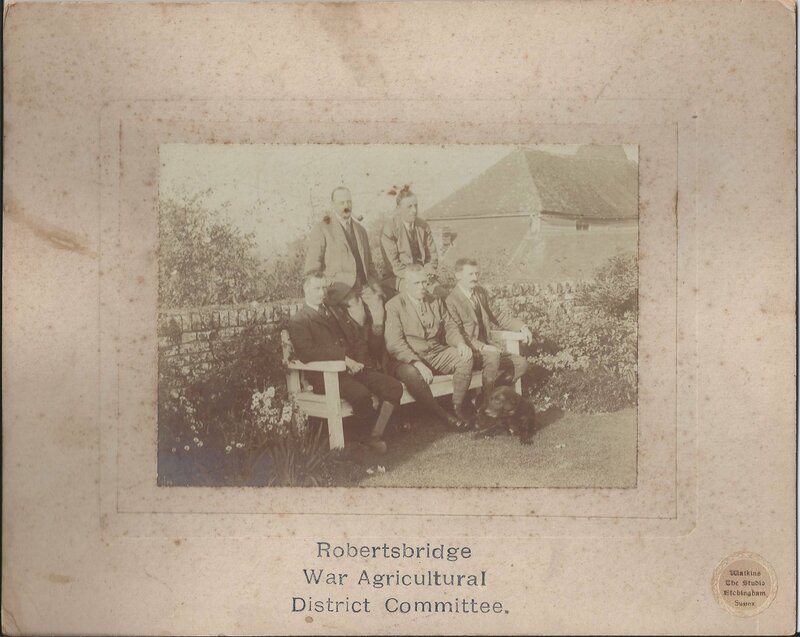 Arthur Elsam is far left with Fred Levett seated of the far right.